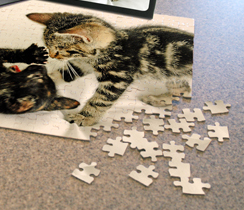 As low as $5.20 for a Customized Photo Puzzle! Regularly $25! TODAY ONLY! You can get a personalized photo puzzle for as low as $5.20 right now at Plum District!